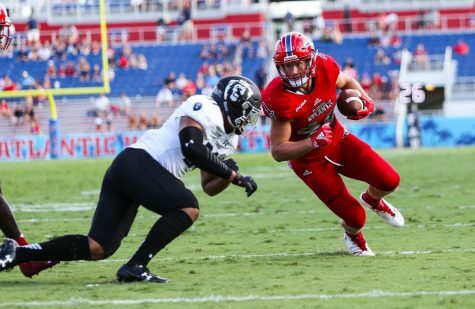 Coming off an impressive win in the Shula Bowl against FIU, the Owls are back at FAU Stadium this week looking to keep the momentum rolling. And they have a great opportunity to do so against a struggling Western Kentucky team that ranks last in Conference USA’s East division at 1-8. 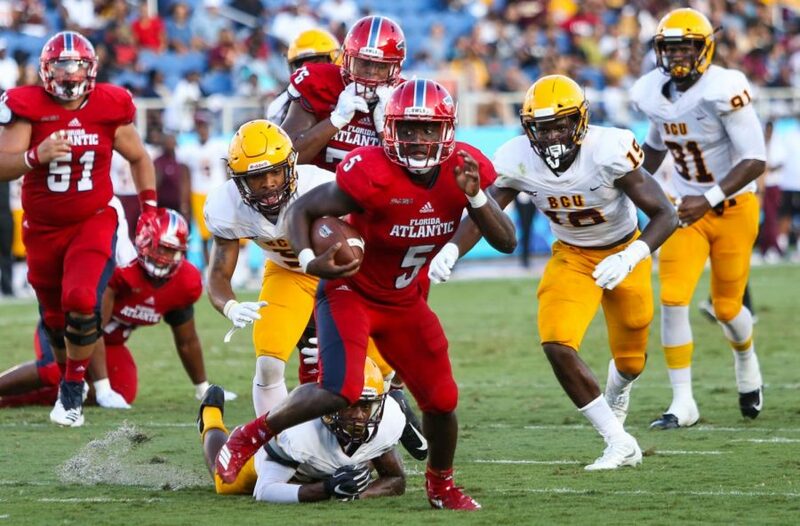 FAU has won back-to-back games only once this season, but can make it a second time with a victory tonight. 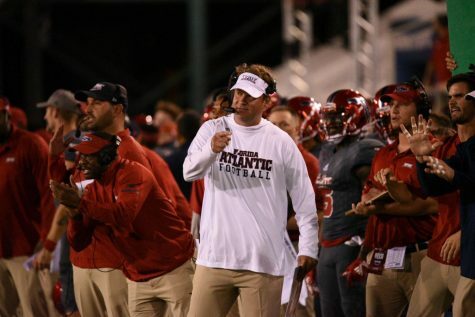 Here are three things to watch in order for the Owls to make it happen. Quarterback De’Andre Johnson was the star of last week’s win, coming off the bench to help lead the Owls to victory. 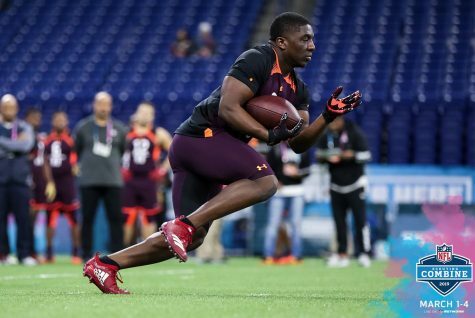 Johnson entered the game in place of starter Chris Robison in the second quarter, ripping off a 29-yard run on his very first snap. The big play was a sign of things to come, as he went on to pass for two touchdowns in the Owls’ win. 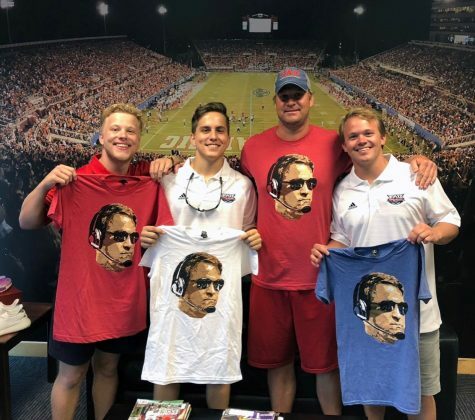 So will FAU coach Lane Kiffin roll with the hot hand of Johnson or go back to his day one starter Robison? 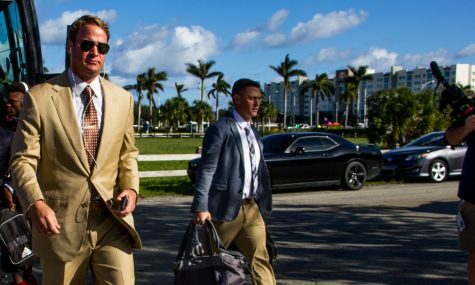 The question remains unanswered leading into tonight’s kickoff, but whoever gets the nod will likely be on a short leash considering the talent behind him. The Owls’ ground game is picking up steam in the most important stretch of the season. 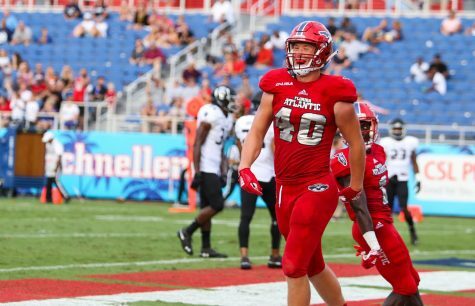 It took time for FAU’s three new starting offensive linemen to mesh, but once they did, they have been playing at a very high level. 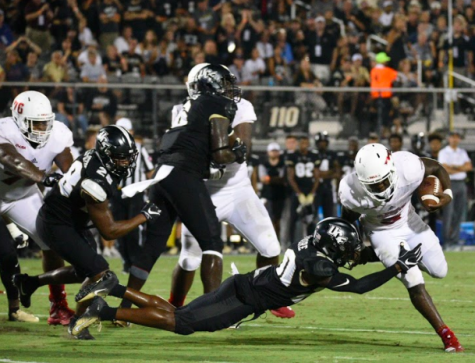 The line’s success has helped open up holes for the powerful one-two punch of running backs Devin Singletary and Kerrith Whyte, who rushed for a combined 349 yards in last week’s win. Look for the Owls to keep grounding and pounding against a Western Kentucky defense allowing 183.1 rushing yards per game – 10th in C-USA. The kicking game has been of the Owls’ biggest struggles this season. 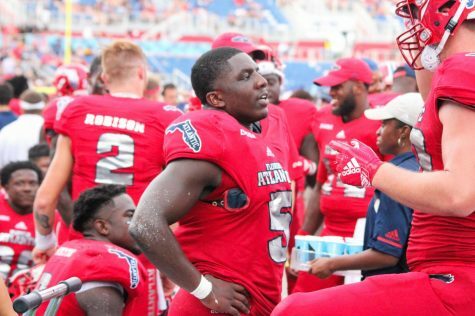 FAU has converted only 60 percent of its field goals this season, ranking third to last in C-USA. Its six field goals made is also tied for lowest in the conference. And extra points haven’t been exactly extra, either. The Owls have missed a conference-high three point after attempts. 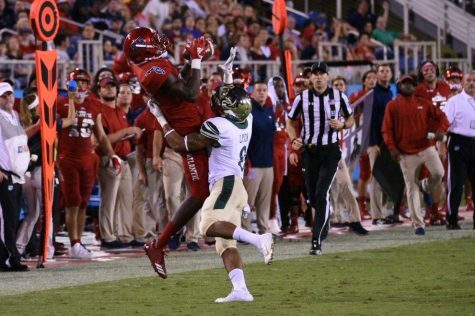 Putting the ball through the uprights has been FAU’s achilles heel this season. Kicker Vladimir Rivas needs to turn it around for his team to have its best shot at victory. 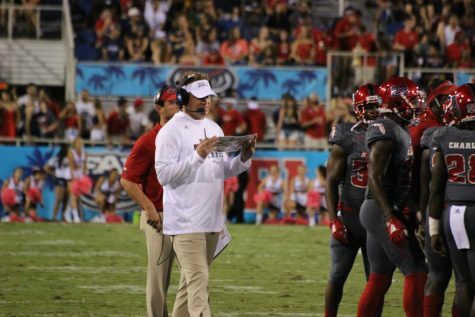 The Owls take on Western Kentucky at FAU Stadium tonight, kickoff against the Hilltoppers at 5 p.m.